Throughout Sunday, Monday, Tuesday and Wednesday, you have the opportunity to attend concurrent sessions, which offer a variety of topics in the world of technology. These hour-long sessions are jam-packed with information to take back to your LEA. Wisdom informs innovation; the latter simply cannot exist without the former. In the push for schools of the future, we need to take an honest look at the strategies and practices of our past. Which need to accompany us on the path forward, and which need to go the way of the floppy disk? The world’s best educators operate in the space where wisdom and innovation coalesce, rather than compete for time. The elite skills of our predecessors need a place in classrooms of the future. 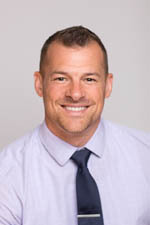 Weston Kieschnick will share his findings after spending more than 15 years coaching some of the most talented educators from all 50 states and more than 30 countries around the world. He will explore how these masters of pedagogy and technology try early, fail often, and pursue excellence with joy to create bold, blended learning experiences that work. We live in a unique moment of time where the relevance of what we teach is easily called into question. The dramatic leaps forward that the digital world is causing makes the job of educators increasingly difficult. As photographer Steve Uzell tells us, if “you don’t really know where you are going… then every road is the wrong road, and any road will get you there.” Educators have to know what outcome they are trying to get and what skills they need to cultivate to get that outcome. 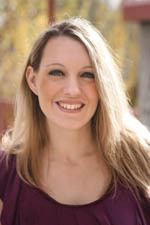 In this insightful keynote, Alice Keeler will share her thoughts around the skills and outcomes educators should be paying attention to and what paths we can take to get there. She will also help us understand how to get out of the way at the right time so other meaningful learning can occur. 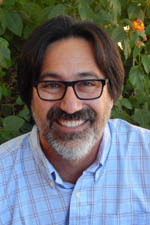 Fredi Lajvardi shares with audiences nationwide a first-hand account of the story that brought renewed national focus to S.T.E.M. (Science, Technology, Engineering and Math) education and inspired the critically acclaimed documentary Underwater Dreams, as well as the major motion picture, Spare Parts, starring comedic legend George Lopez. With humor and passion, Lajvardi reveals the simple secrets to his national champion robotics team’s unprecedented success, and imparts to audiences the same wisdom, spirit of inventiveness, and determination that transformed an improbable group of disadvantaged Hispanic teenagers into an unstoppable national powerhouse. His heartfelt presentation captures the imagination, maximizes potential, and sparks the creativity in all of us.